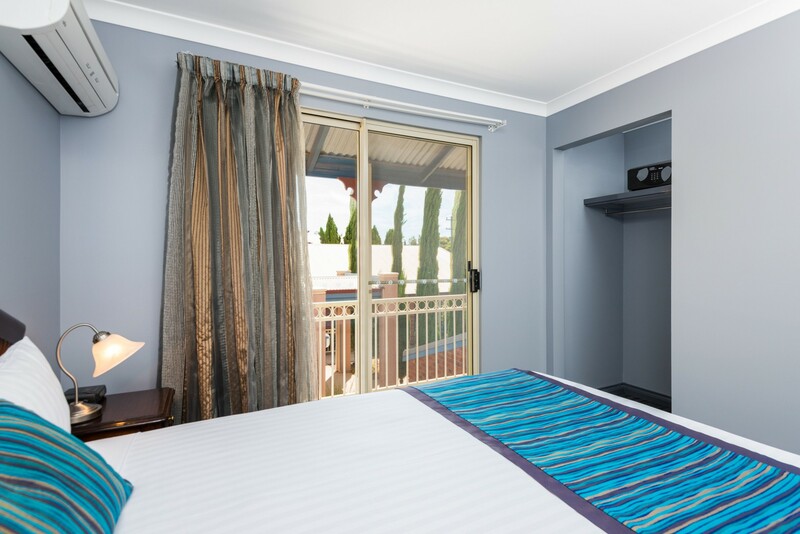 Quest Yelverton Kalgoorlie serviced apartment style hotel rooms offer guests a relaxed and comfortable Kalgoorlie accommodation experience, perfect for short or long stays. 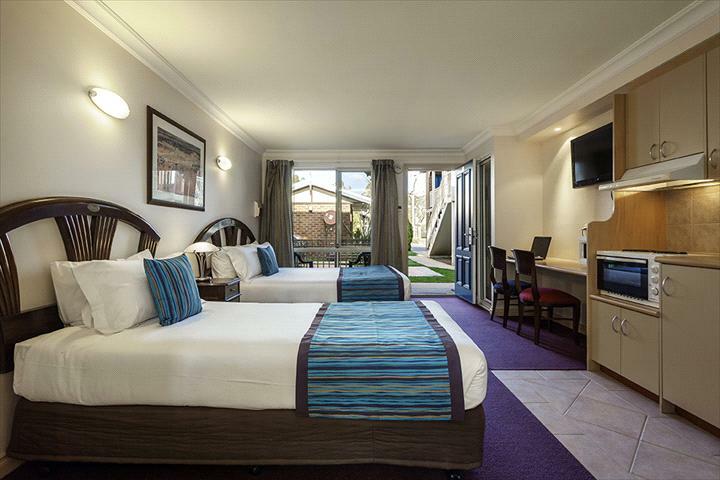 Quest Yelverton Kalgoorlie is walking distance from the main shopping district and Goldfields Arts Centre, along with the Interstate Coach Terminal and Rail Station. For bookings, contact (08) 9021 1966. Every comfort and convenience has been thoughtfully considered and options range from one and two bedroom apartments to studio spa and, studio twin spa apartments. 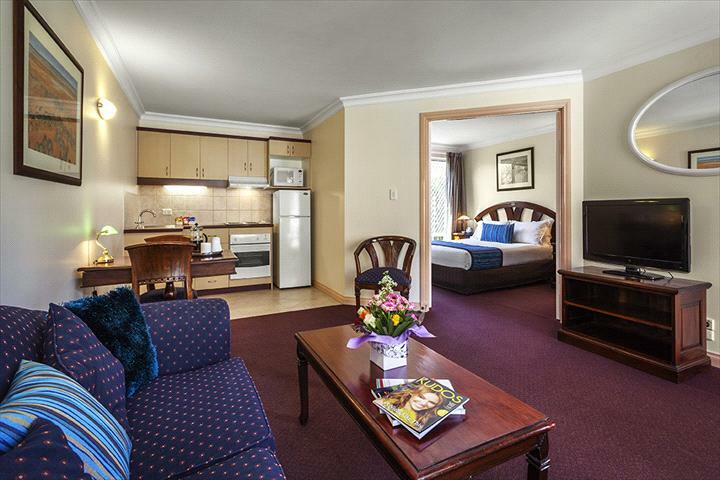 Each spacious apartment is self contained, beautifully furnished and appointed in a style acknowledging the character of the Federation era of the early goldfields. All apartments are non-smoking, have fully equipped kitchens, individually controlled reverse cycle air conditioning and feature direct dial telephone, flat screen television, 20+ free to air channels and DVD player. Other features of our Kalgoorlie home away from home are in-room safes, valet dry cleaning, pantry shopping, daily housekeeping (except Sundays and Public Holidays), secretarial services, and chargeback services at 7 nearby local restaurants. A number of breakfast options are available; please discuss with the Receptionist on your arrival. Complimentary services include 8 Foxtel channels, daily newspaper, in-room Wi-Fi, garage parking, use of the Inspired Life gym and access to the Hotel DVD library. We have a fully equipped conference room for all your meeting and small conference/seminar training requirements. Catering can be arranged. Management and staff look forward to warmly welcoming you to Quest Yelverton Kalgoorlie. Located at 210 Egan Street, Kalgoorlie. This spacious apartment is perfect for the businessman who may wish to hold interviews or small meetings at his accommodation. It is beautifully appointed and furnished, has a work table and reading lamp, reverse cycle air conditioning, safe and a fully equipped kitchen. Complimentary Wi-Fi and use of the Inspired Life Gym. Extremely comfortable and practical accommodation. These 2 bedroom apartments have 2 bedrooms, one with a queen size bed and the other with 2 single beds, and are perfect for families. An extra bed may be made up in the lounge. It is beautifully appointed and furnished with reverse cycle air conditioning, safe and a fully equipped kitchen. Complimentary Wi-Fi and use of the Inspired Life Gym. Extremely comfortable and practical accommodation. These 2 bedroom apartments have 2 bedrooms both with 2 queen size beds and are perfect for families. An extra bed may be made up in the lounge. It is beautifully appointed and furnished with reverse cycle air conditioning, safe and a fully equipped kitchen. Complimentary Wi-Fi and use of the Inspired Life Gym. Extremely comfortable and practical accommodation. The spa suites provide a luxurious retreat after your days work is done. The apartment features a kitchenette, a queen size bed and a king single bed, and a corner spa with a shower. 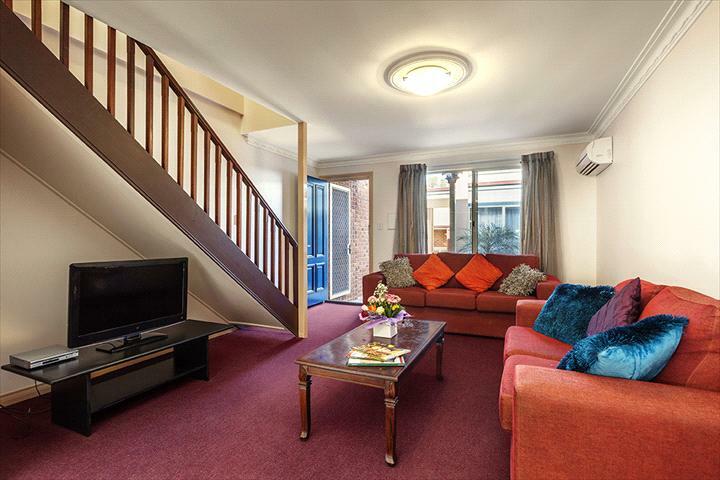 The apartment has reverse-cycle air conditioning, a safe and wireless broadband internet capability. Complimentary Wi-Fi and use of the Inspired Life Gym. Extremely comfortable and practical accommodation. The spa suites provide a luxurious retreat after your days work is done. The apartment features a kitchenette and a 2 person spa with a separate king shower and separate toilet in the bathroom. The apartment has reverse-cycle air conditioning, a safe and wireless broadband internet capability. Complimentary Wi-Fi and use of the Inspired Life Gym. Extremely comfortable and practical accommodation. All bookings are held in good faith to the arrival and departure date listed in this reservation at the rate specified. To confirm reservations either current valid credit card details are required or a deposit received equal to first nights accommodation 10 days prior to arrival. Variations to this may apply during peak periods at the property's discretion. A cancellation fee of one nights accommodation will apply to any booking cancelled within 48 hours of arrival time. If no arrival time is specified it is deemed by 10:00pm of that day. Any cancellation fee will automatically be charged to the credit card on the confirmation or deducted from the reservation deposit. Upon arrival each guest will be required to sign a standard Quest registration form and accept the terms and conditions therein of his/her stay. Payment of reservation any Quest property accepts all major credit cards. On arrival a pre-authorisation of your credit card for your accommodation amount may be required. Hours: 7:00am to 8:30pm, daily.